I spent most of my lifetime in Shanghai, China, and I have my undergrad degree from Shanghai International Studies University, where majored in business administration and English. 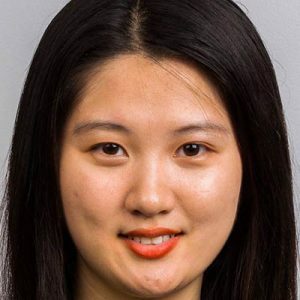 My connection with Duke began with my exchange experience at Duke Kunshan University in the spring of 2017 when I attended the Global Learning Program. I found energized by the culture and diversity that Duke prides itself on. I am passionate about using business as a force for good, and I want to pursue a career that can make a positive impact on society and help solve its problems. Currently, I am a project innovator at Duke Interdisciplinary Social Innovators and work on internal structure and marketing strategy. I am also interested in design thinking so I joined Duke Design for America, through which I am applying a human-centered design approach to solve some of the challenges of an art center in Durham. I am a huge foodie and avid learner and traveler. I also have lots of fun making vlogs.